No mention on whether any of the arrested illegal migrants were victims of trafficking. The article does, however, mention that some of the migrants were arrested on charges of prostitution. According to the U.S. Department of State, Italy has a strong record of combating trafficking. Italian police announced on Thursday the arrest of hundreds of suspected illegal immigrants in a sign of the new right-wing government's determination to clamp down. Police arrested 383 people including 268 foreigners, with 53 immediately taken to the border for expulsion, in a week-long operation stretching from northern Italy to the Naples area. Silvio Berlusconi swept back to power for a third term as prime minister last week promising to get tough on illegal immigrants, blamed by many for crime. He is readying new laws to screen immigrants and jail or expel those breaking the law. Those arrested came from Eastern Europe, Albania, Greece, North Africa and China and face charges ranging from illegal entry into Italy to prostitution, drug trafficking and robbery. In Libya, police have arrested 240 would-be illegal migrants from several African countries over the past four days as they prepared to sail to Italy, the Interior Ministry said. Libya is a springboard for hundreds of thousands of Africans trying to reach Europe via Italy on board unseaworthy boats. The policeman in charge of the Italian operation, Francesco Gratteri, told a news conference the sweep "wasn't aimed at any specific category or ethnic group. The sole objective were criminals who have caused a sensation of rising alarm in society". The focus of Italian concern about immigrant crime are the Roma, known here as "nomads", who come mainly from Romania and other Eastern European countries. In Rome, police raided the biggest Roma camp and took away about 50 men for questioning. The arrests coincided with a visit by Romanian Interior Minister Cristian David. Romania has Europe's biggest Roma population and its prime minister warned this week that Italy's crackdown could cause "xenophobia" against other Romanians. Italy has tried to reassure the fellow European Union member that Romanians are not being targeted. 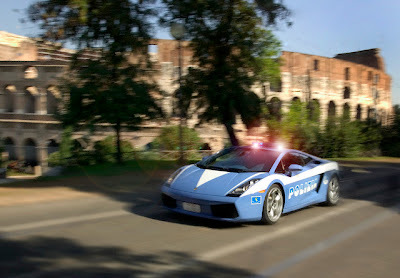 The two countries have launched a joint police effort and Romania will despatch a task force of 15 officers to work with Italian police this month.